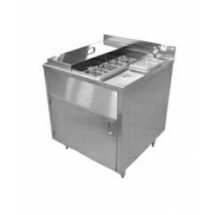 Food rethermalizers utilize a circulating, heated liquid bath in order to reheat food products that were previously cooked, frozen or refrigerated. They safely reheat and hold food products for hours until it is ready to be served. You can continue to add food to the rethermalizer without affecting the food being held inside. 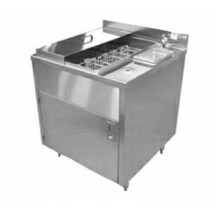 TigerChef carries top brand Falcon Rethermalizer by Elkay SSP, and Pitco Frialator for high volume commercial kitchen use. 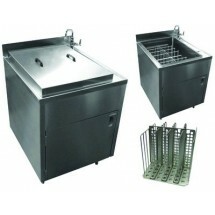 Pitco SRTE14 S Solstice Full Tank Electric Rethermalizer 16.5 Gallon Sold As: 1 ea You're pre-approved for a cash advance! Elkay SSP RTB-16-SL Falcon Rethermalizer Sold As: 1 ea You're pre-approved for a cash advance! Pitco SRTG14 S Solstice Full Tank Gas Rethermalizer 16.5 Gallon Sold As: 1 ea You're pre-approved for a cash advance! 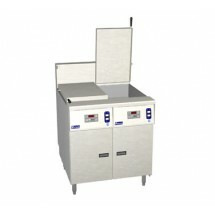 Elkay SSP RTB-16-SL-CS Falcon Rethermalizer Sold As: 1 ea You're pre-approved for a cash advance! 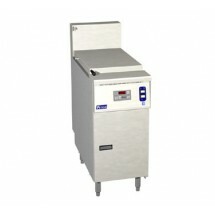 Elkay SSP RTB-14-SL-CS Falcon Rethermalizer Sold As: 1 ea You're pre-approved for a cash advance! Elkay SSP RTB-14-SL Falcon Rethermalizer Sold As: 1 ea You're pre-approved for a cash advance! Pitco SRTE14-2 S Dual Full Tank Rethermalizer 16.5 Gallon Sold As: 1 ea You're pre-approved for a cash advance! Pitco SRTG14D-SS Solstice Dual Full Tank Gas Rethermalizer 16.5 Gallon Sold As: 1 ea You're pre-approved for a cash advance! Pitco SRTG14-2 S Solstice Dual Full Tank Gas Rethermalizer 16.5 Gallon Sold As: 1 ea You're pre-approved for a cash advance!